TRI Mommy TRI: 2015 - Thank You! As the year comes to a close, I can’t help but reflect back and be thankful for all of the support I had for this crazy and tough past season! From pregnancy to the birth of Myles, and through all of the struggles and celebrations, I couldn’t have had a better husband, family, friends, and sponsors to help me through it all. While one sponsor changed names, the face and brand stayed the same. Kevin was offered a great position at Funkier and left Draft Cyclery behind. Fortunately, he took me with him and I’ve been able to rest easy knowing that I’ll still have the same great quality apparel to train in and kit to compete in! They have great new items that I’ve been able to try out (some that aren’t even yet available on the website), and have been blown away by their awesomeness! Check them out at funkierbikeusa.com. The Wisconsin Milk Marketing Board was a fantastic support again for this past year, and it’s been fun being a representative and spreading the message of chocolate milk as an ideal recovery beverage. They also sponsored the Three Eagle Half Marathon & 5K again, and it’s so awesome to be able to furnish chocolate milk at the finish line of a race that I’m the Director of, as it would be sublime to have it at all finish lines! For more information about the science behind it, check out winwithchocolatemilk.com. Timber Land Chiropractic has been an immense blessing this past year! I had a lot of different pains and restrictions that popped up over the year. I had pelvic pain while pregnant, lower back pain multiple times, a pinched nerve, tightness, etc. Dr. Wendy not only worked on my neck and back, but has also worked on my tight hip flexor, my feet, and advised on nutrition. Don’t settle for living with ailments – make 2016 a better year and visit your local chiropractor. 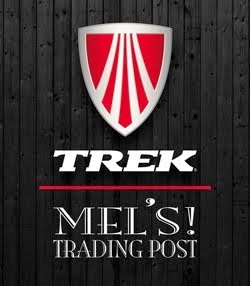 New to 2015 was also Mel’s Trading Post, who is a Sporting Goods Store and Trek retailer. While bikes are just one aspect of what Mel’s Trading Post has to offer (along with skis, fishing gear, kayaks, canoes, etc), they have a knowledgeable and experienced staff that will work with you from a fitting to getting the bike gear you’re looking for. They took great care of my new ride and me. Their shop in downtown Rhinelander is worth visiting! Most importantly, the biggest thank you always goes to Andy! Without his endless support, I may not have survived this past year (no thanks to Myles…). As our family has grown, I have had to figure out new ways to fit training in, and he’s been willing to help make it happen. He’s listened to my frustrations, cheered me on and been my paparazzi at races, and journeyed with me to my first World Championship! The adventures are so much better when they are with you. THANK YOU!